A DECADE AGO a housing bust in America nearly took down the world’s financial system. The cost of homes in most countries fell substantially afterwards. Ten years on, however, they have reached new highs in many places. The rise has been particularly pronounced in the world’s most desirable cities. In London and Sydney, prices have doubled; in Hong Kong they have trebled. Now this exuberance appears to be coming to an end. As our print article explains, this is most noticeable at the ”prime” end of the market—defined as the top 10% by value—in global cities such as New York, London and Sydney. In London prime property prices are down 20% since their peak in 2014; in Sydney they have fallen 16% over the past 18 months. 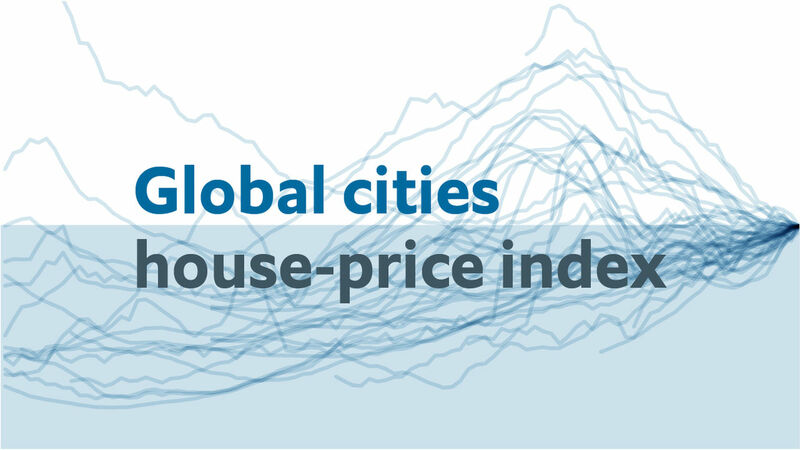 The IMF notes that prices among global cities are increasingly correlated. Housing is now behaving more like a stock or bond, with global prices rising and falling together. Experts at the IMF worry that a synchronised downturn poses an increased risk of causing a recession and could affect financial stability. To help determine whether housing is fairly valued or not, The Economist benchmarks house prices against each city’s median household income. If, over the long run (which we define as 20 years, or more if data are available), housing inflation outstrips the incomes that are able to service a mortgage, then prices are likely to be unsustainable. On this basis, houses do indeed look substantially over-valued in half a dozen of the cities we track. Whatever the outcome, house price inflation in global cities is likely to slow down in the coming years. The cost of money is rising; wealth creation is slowing; governments are becoming more hostile to overseas investment; and supply is plentiful outside of a few highly coveted and space-constrained cities. For the moment it seems that the housing boom is drawing to a close.